Discover Newmarket0344 748 9200work Tour GuideDiscover Newmarket is the town’s official tour guide and acts as a single point of contact, providing tailored itineraries to ensure that you get everything you want out of your visit and more, whether you are an avid racing fan or someone who just loves art and history, we have a tour to suit everyone. Discover Newmarket offers a unique opportunity to go behind the scenes at racing's headquarters to see the equine stars at work and learn about the fascinating history, heritage and culture of the town. Our expert guides deliver tours for groups and individuals which can be organised for a half-day, full-day or longer. Tours include visits to a racehorse trainers’ yard, the famous gallops, the National Stud, the National Heritage Centre for Horseracing & Sporting Art, the exclusive private members club The Jockey Club Rooms, Newmarket Racecourses, Sheikh Mohammed’s breeding operation Darley, and much more. We also run our most popular tours on set dates all year round with prices starting from as little as £11 per person. If you are staying for more than one day, we can help you to arrange accommodation and other fantastic visits to the wonderful destinations within West Suffolk. 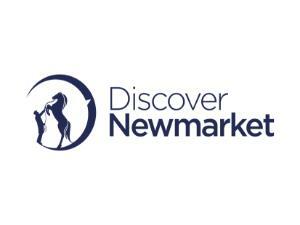 Discover Newmarket is the town’s official tour guide and acts as a single point of contact, providing tailored itineraries to ensure that you get everything you want out of your visit and more, whether you are an avid racing fan or someone who just loves art and history, we have a tour to suit everyone.